Baton Rouge, La. 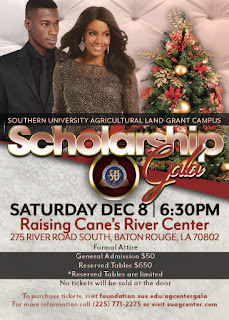 – Tickets are now available for the Southern University Land-Grant Campus’ Annual Scholarship Gala. The fundraising event will be held at the Raising Cane’s River Center, 275 River Road South, on Saturday, December 8 at 6:30 p.m.
All proceeds from the event will be used to provide scholarships; assistantships; internships; study abroad, campus – based research and professional development opportunities for students in the College of Agricultural, Family and Consumer Sciences. Last year’s Gala raised over $22,000 that were used to support internships, book scholarships and study abroad opportunities. Tickets are $50 for general admission, $650 for reserved tables. Dinner and live entertainment are included in the price of the ticket. To purchase tickets or make a tax deductible donation visit, https://foundation.sus.edu/agcentergala/ or contact Jasmine Gibbs at 225-771-2719. 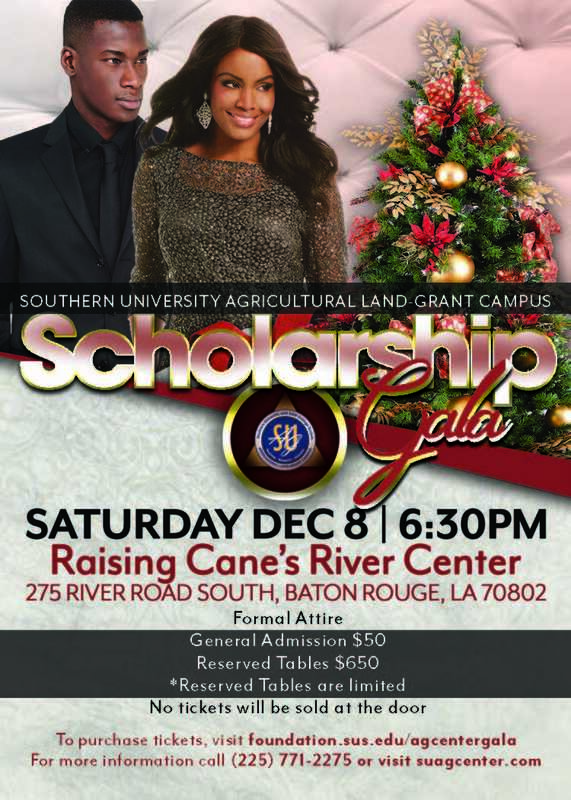 The Southern University Land-Grant Campus is also seeking sponsors for the Scholarship Gala. For information on sponsorship opportunities, contact Aymbriana Campbell-Pollard at 225-771-2275.